Business documents in PRO, DELUXE database solutions. 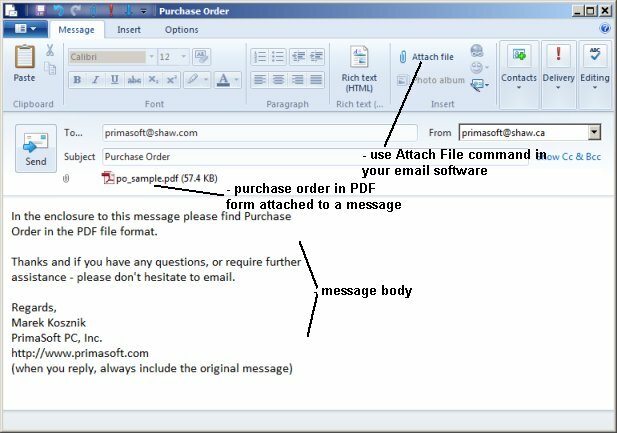 Question/Topic: How to send emails with business documents. Electronic Communication, Emails: Use PDF files when communicating with your business partners and clients. 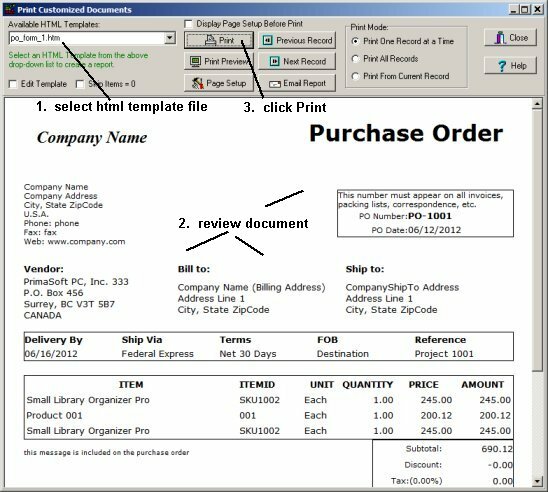 Purchase Order, Invoice, Donation, and other PRO and DELUXE database management solutions allow you to create business documents where data is combined with the high level design (purchase order documents, invoice documents, donation receipts, ...). Those documents are created in the html form together with keywords that represent data fields. When document is displayed in the Print Custom Documents window keywords are replaced with the data from the selected record. This document can be printed (recommended) or attached to the email message (not recommended). HTML attachments do not display if the recipient's email application has the html viewer turned off. Some email clients don't display correctly HTML formatted files. When you send HTML attachment without printing you will not have a copy of this document for your future reference. Our send email procedure does not keep the history of the email communication. 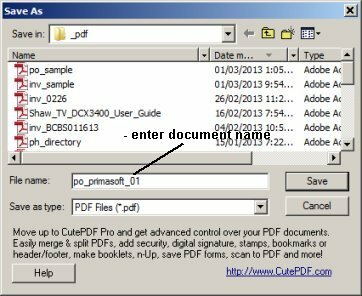 Install PDF Writer or PDF Converter. 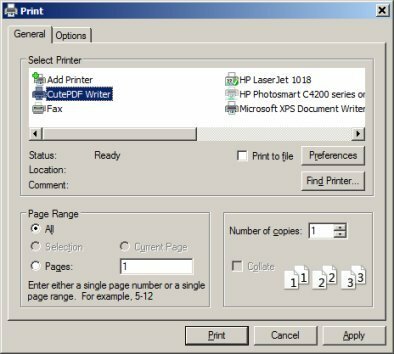 Click on the Print button in our application and select PDF Writer. Enter document name and click Save, remember the folder name. Use email software that keeps history of the email messages. 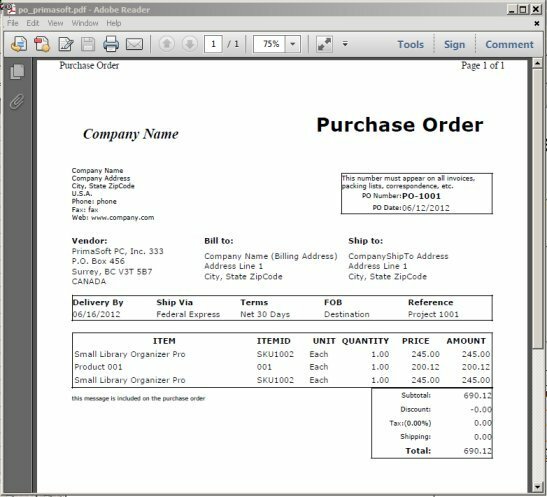 Send PDF invoice, purchase order, or receipt documents as file attachments. Send Emails from Organizer Deluxe and Pro database solutions.